The Rig 9800 comes with roughly 9800 cubic inches of capacity, so there’s tons of room for all your riding gear inside. 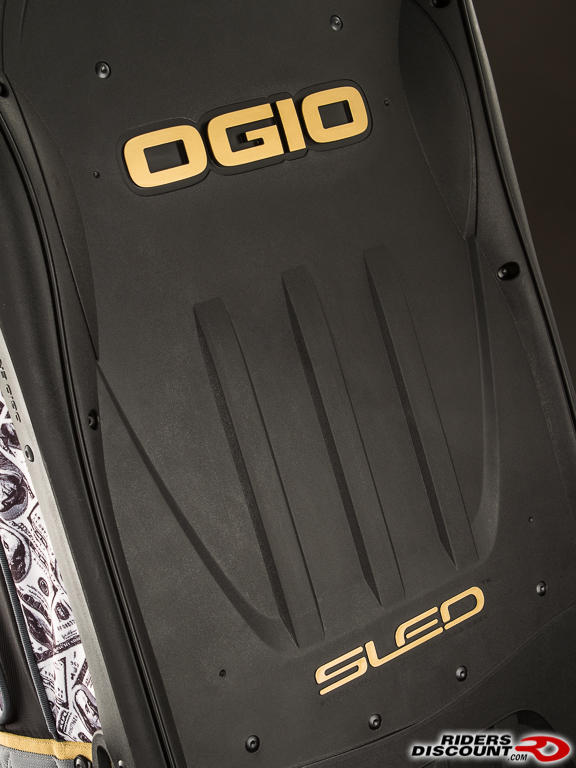 All of this is supported by OGIO’s Structural Load Equalizing Deck (SLED) to provide secure storage of all your critical riding gear. Opening the full-circumference coffin-style lid, you’re greeted by a padded helmet storage compartment on one end and a large area to put your gear like jersey/leathers, gloves and armor away. In the top lid, OGIO recommends placing your boots, but for those of you who like to keep them out to dry, this area is good for a change of clothes, towels and other smaller gear. There are also three more smaller pockets (two inside, one outside) for further organizational possibilities. Large zippers keep it all inside and users can employ a pair of built-in external compression straps to keep everything safely held in place while the bag is on the move. A large set of wheels perfectly compliment the telescoping handle and substantial, durable grab handles are logically placed for easy handling even when the bag is overloaded. 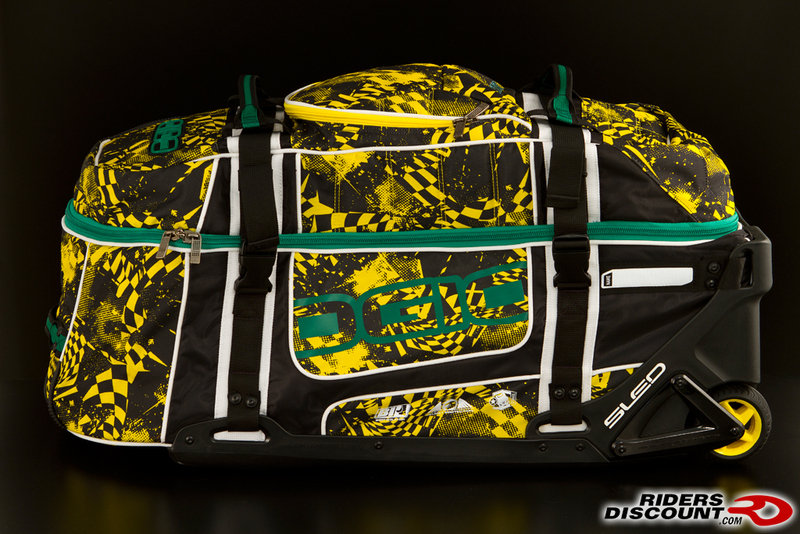 Plus, for over-eager baggage handlers, your gear is further protected by the integrated iFOM-padded panels on all sides. 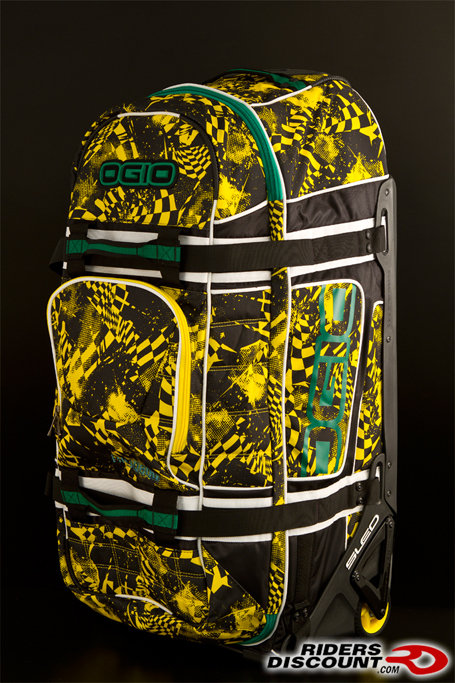 Best of all, the OGIO Rig 9800 is built like a tank, and they’re backed by a lifetime warranty! 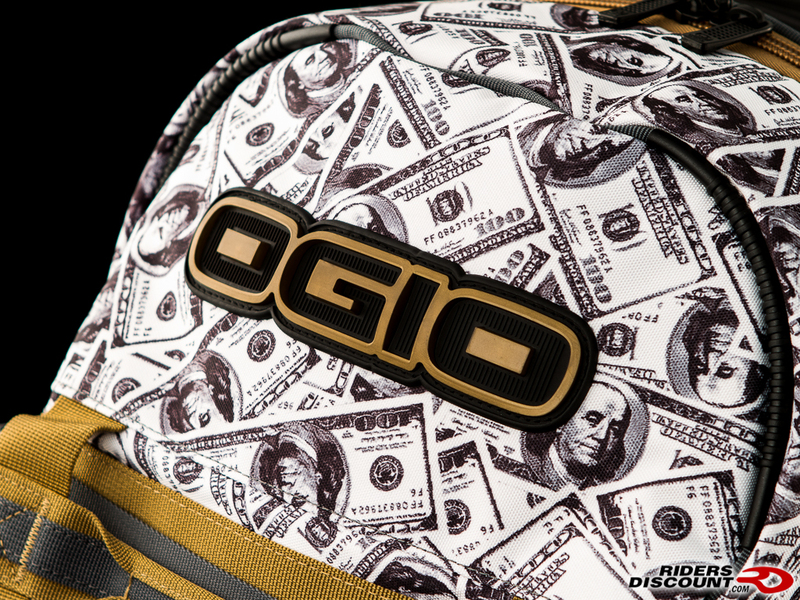 We have both the BENJAMINS and FINISH LINE graphics on special for $139 shipped in the lower 48 states. 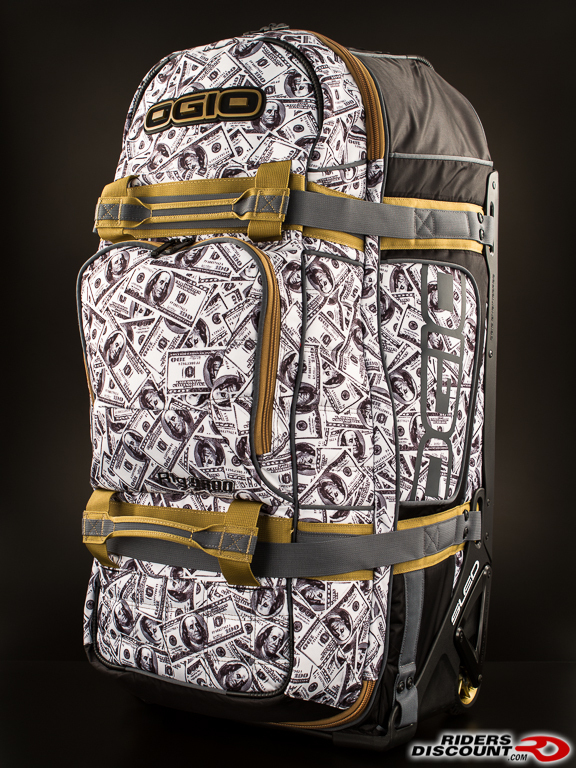 Order your OGIO Rig 9800 today to insure that you have room for all of your gear when you need to travel. You can order by calling Brad at 866.931.6644 x 810 or by sending us a PM through this forum. You can also feel free to send an email to FORUM at RIDERSDISCOUNT dot COM and we’ll get back to you right away. www.RidersDiscount.com - Find Alpinestars, Arai Helmets, and other motorcyle accessories. In order to be able to post messages on the R6Messagenet.com forums, you must first register.